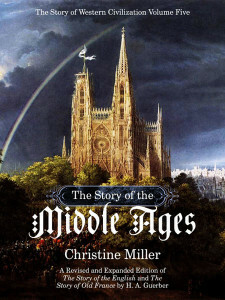 The engaging narratives that followed are richly detailed accounts of the lives and times of the most important people of the period, arranged chronologically. The people are placed within the context of their times, and their history is presented with interesting background information so that the entire narrative flows as a single, unbroken story. Dates are given in the narrative where they are known; the pronunciation of place and personal names is carefully marked at its first encounter in the text; and illustrations abound. 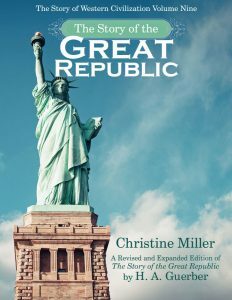 The books includes maps, a comprehensive timeline of all the persons and events encountered in the history, a comprehensive Recommended Reading list of wonderful historical fiction and non-fiction keyed to the chapters; and a complete bibliography and index round out the book. 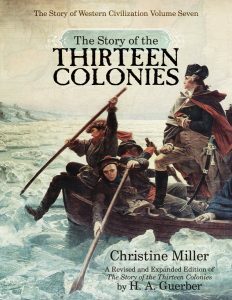 We recommend these books as a child’s first introduction to history in grades 1-6 (although we have heard from many moms whose teens study these with enthusiasm). 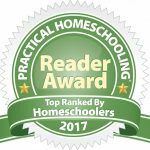 They make wonderful read-alouds, and the Recommended Reading suggestions keyed to the chapters provide additional detail and fascinating excursions into topics introduced in the narrative, often with books children can look at or read on their own. New in 2016: A growing collection of tried and tested teaching helps for each of the Guerber’s histories. 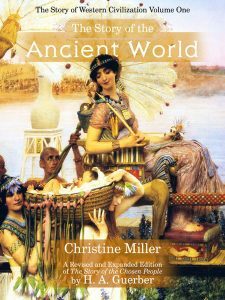 Currently Ancient World, Greeks, Romans, and Middle Ages is up, with the remainder in progress, coming soon. Each teaching helps page is linked from its individual book page, or they are also all archived here for easy access. 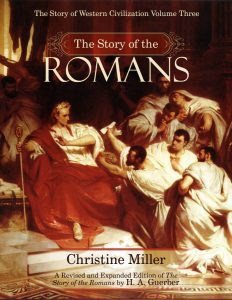 The new fourth edition of The Story of the Romans has been completely revised. In the keeping with the other editions of Guerber’s histories available from Nothing New Press, the accurate history on the first settlers of Italy, previously only available in the Publisher’s Preface of Romans, has now been integrated into the first chapters. 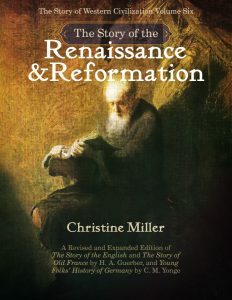 New chapters on the Roman Religion, on Herod the Great and the birth of Jesus Christ during the Augustan era, on the emperor Vespasian, and the siege of Jerusalem and the Destruction of the Temple have been integrated with the existing narrative, and surrounding chapters juggled where necessary to accommodate the new material in a smooth and unbroken style. 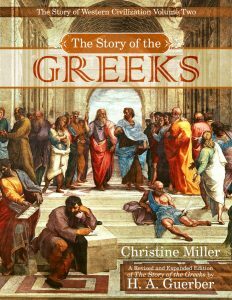 In addition, new material has been added to existing chapters expanding the growth of the Christian church and the persecutions she suffered, and the final Judeo-Roman war in 135 AD, during the reign of Hadrian, which resulted in the expulsion of the Jews from their homeland. Along with the new and expanded chapters, many more illustrations have been added, along with the new cover. All Guerber’s histories now have new covers! We have been updating our Guerber’s covers as our time and budget permits. Christine Miller has designed all our new covers, and we are thrilled with the results (pictured above). Thank you, Christine!